When a friend, a loved one, or we ourselves are facing difficult times, we long for words of wisdom, hope and healing. 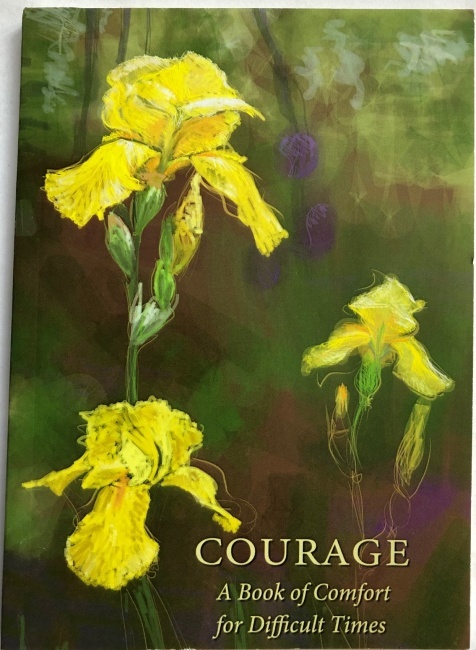 This book was born from that longing, and brims with quotations, poems and reflections that offer comfort, courage, compassion, grace, and love. 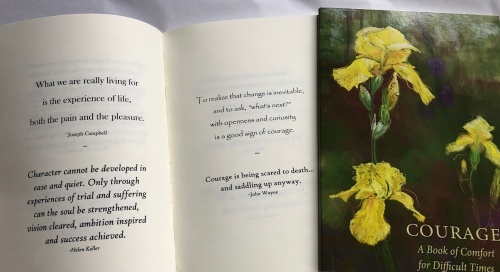 This paperback edition of Courage contains new passages in addition to the collection of wise and comforting words from the popular original handmade book. 4.25 by 6 inches, 70 pages, with an envelope for gifting. Choose this book from the drop down menu for the Quotation Celebration Collection, or purchase all four at a discount.